Chelsea is a neighborhood on the West Side of Manhattan in New York City, NY with many great restaurants, famous sights, including the High Line and Chelsea Market. With more than 200 art galleries, the neighborhood is known as a center for art in the city. 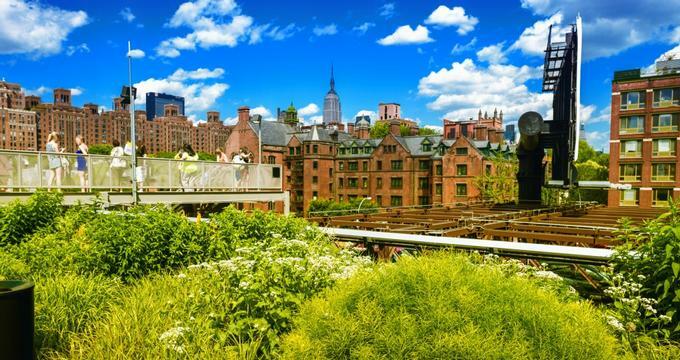 Here are the best things to do in Chelsea, NYC. 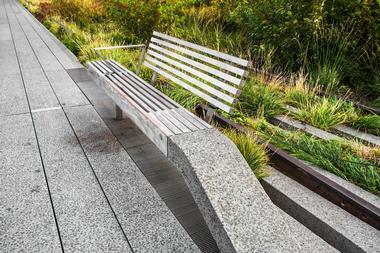 The High Line Park is a 1.45-mile long aerial greenway that was built on top of an unused, elevated section of the New York Central Railway. Inspired by a project in Paris, the High Line extends from Gansevoort Street in the Meatpacking District through Chelsea to the north edge of the West Side Yard near the Javits Convention Center. The park is beautifully manicured and offers fantastic views of the city and the Hudson River. High Line hosts temporary exhibit installations and various performances. Most parts of the park are wheelchair accessible but the park rules prohibit bicycles, skateboards, roller skates, and scooters. The Ground Zero Museum Workshop is a museum and memorial that recounts the recovery period at Ground Zero after the 9/11 terrorist attacks. Many community members and families of victims as well as experts in technology and graphics collaborated in this effort to tell the story of what happened at Ground Zero. Stories, images, and artifacts that were recovered from the September 11th tragedy are featured as well as 100 audio stories that visitors can listen to in four languages. The stories include real sound effects from Ground Zero. Photography from the FDNY Fire Unions' official photographer is on display to help visitors understand what it would have been like to be a part of the recovery crew. Madison Square Garden is a multi-purpose enclosed arena in Manhattan. 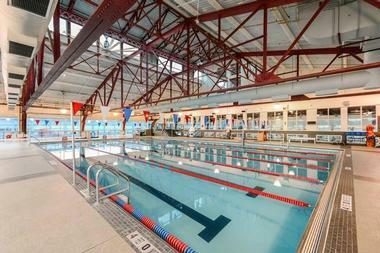 The Garden is used for a variety of sports, including professional basketball and ice hockey, boxing and wrestling. It is also used for a variety of other entertainment and performances, including ice shows, concerts, circuses, and much more. 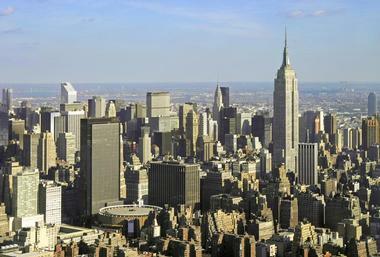 It is home to the NHL team the New York Rangers and the NBA's New York Knicks. Madison Square Garden has hosted a number of high profile music performers and continues to be a popular concert venue. The venue sits directly on top of the Pennsylvania Station railway station, which is a major transportation hub. The Chelsea Piers Sports and Entertainment Complex is located on a series of piers in Chelsea which were originally a passenger ship terminal. In the Early 1900s, the RMS Lusitania used the piers, and they were the planned destination of the ill-fated RMS Titanic. The complex includes a health club, the city's largest gymnastics training facility, two basketball courts, playing fields for soccer, batting cages, a rock wall, and dance studios. Additionally, there is a golf club, a bowling center, and two ice rinks. The Piers also have film and television production studios, including the one for NBC Universal. There is also a marina nearby for docking private boats and several event spaces. The Chelsea Flea Market evolved out of the original Annex Antiques Fair & Flea Market that began nearby almost forty years ago. The historical area and buildings still retain the vintage ambiance and charm from years ago. Up to 135 vendors sell antiques, collectibles, decorative arts, clothing, jewelry, and many other types of antiques and collectibles at the market. Food options abound and include many options of local cuisine, diverse restaurants, and sandwich shops. Many of the vendors feature handmade art and craft items that make for interesting and unique gifts and souvenirs. The market is a must-see if you are visiting New York's meatpacking district. 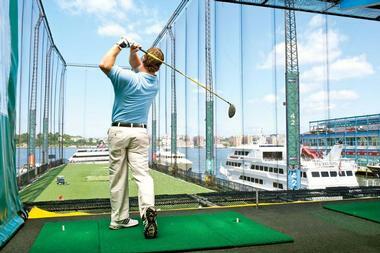 The Chelsea Piers Golf Club is a unique golf destination that provides guests with the opportunity to golf on a scenic pier on the Hudson River. The Club boasts Manhattan's only four-tiered, year-round outdoor driving range. The range's 200-yard fairway provides the opportunity to hit full shots and practice putting. The Golf Academy at Chelsea Piers is a very high tech indoor training center. The academy offers several golf schools as well as private and semi-private lessons for golfers of every ability level, starting from age four. The golf club is open to the public and offers memberships for the frequent golfer. 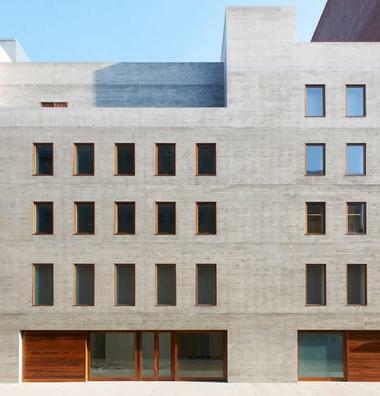 RESOBOX is a unique art gallery and creative space in Manhattan's Chelsea neighborhood, originally founded by Takashi Ikezawa to showcase the works of Japanese artists throughout the United States and the world. The gallery, which is named for a mashup of the words "box" and "resonate," strives to serve as a collaborative space that brings together Japanese and non-Japanese artists to preserve and evolve traditional Japanese art forms. Exhibits are rotated monthly, with print, sculpture, painting, ceramics, and multimedia works displayed throughout the year. Visitors can also participate in 10 weekly Japanese arts classes or taste a variety of Japanese cuisine at the gallery's restaurant. Liddabit Sweets is a confectionary and sweet shop whose goods are all handmade in Brooklyn and sold at their store in Chelsea Market. The company was founded with a commitment to making delicious sweets that and fresh and seasonal and support the local growers and producers at the same time. Liddabit specializes in handmade candy bars, caramels, honeycomb candy, lollipops, and more. Each and every one of their items is completely hand made at every step by a live person. They are committed to using the best quality of ingredients available. Liddabit never uses any artificial flavorings or preservatives, only real, quality ingredients. 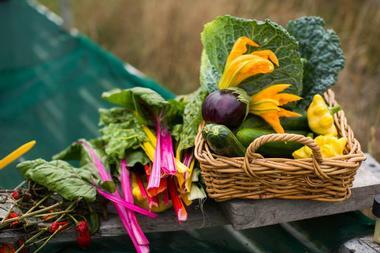 They buy local ingredients whenever possible. Atlantic Theater Company is an Off-Broadway theater company that operates two theaters in the Chelsea Neighborhood. The first theater is the 199-seat Linda Gross Theater, and the second is a 99-seat black-box theater named Stage 2. Stage 2 houses Atlantic's new play development program, which includes readings, workshops, and stage productions. Atlantic Theater Company has produced more than 120 plays. The company also runs the Atlantic Acting School, which has both a private component as well as an undergraduate university program as part of New York University. The theater offers an exciting performance schedule that can be found on their website. Bright, cheerful, and modern, with rustic benches made from Coney Island boardwalk, marble top tables, and counter service, BEC is the place in Chelsea to go for egg sandwiches. And not just any egg sandwiches. BEC is so popular that trying to get your Sunday brunch there means being prepared to wait. But, any other time, you can get your egg sandwich any way you want it. There are 12 combinations of just eggs, bacon, and cheese and an endless number of other options. The most popular is the BEC classic, served with two over easy organic eggs, applewood smoked bacon and New York sharp cheddar cheese. The secret is in the bun: It is cheese and bacon-encrusted, fluffy, and perfect for soaking up the juicy goodness inside. Follow it with a cup of hot coffee from the Brooklyn Roasting Company, a freshly squeezed orange juice, or a glass of beer or wine. 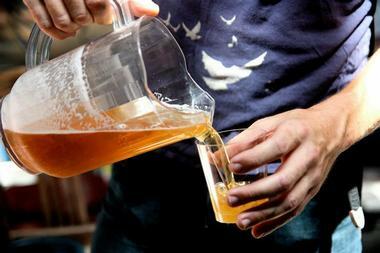 The New York Beer and brewery tour is a half-day bus tour through several of New York's neighborhoods. The tour will visit some of the best breweries in the city as well as places that have played a roll in beer history. The tour is led by a guide who will travel with you and provide entertainment and information as well as answer questions and present historic beer artifacts. This tour will visit Paulaner Brewery, Brooklyn Brewery, “Old Brewer's Row,” Spuyten Duyvil, and SingleCut Beersmiths. Guests will have the opportunity to sample a variety of beers and will receive a fresh-baked pretzel and other snacks. 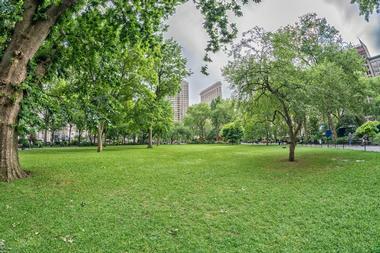 Madison Square Park is a public park located in the Flatirons district. Talented gardeners who tend to the hydrangeas, hollies, and redbuds year-round landscaped the 7-acre park. The park has been renovated in recent years and features updated art sculptures, fountains, and other decorative items throughout. 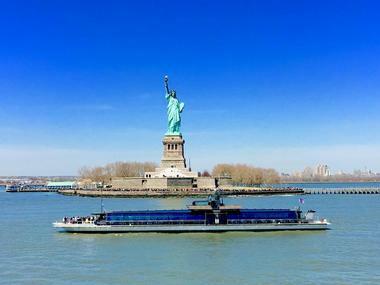 Bateaux New York is a cruise company offering a variety of river cruises originating from Chelsea Piers. Their cruise options include dinner cruises, luxury lunch cruises, brunch cruises, and several holiday and specialty cruises. The specially crafted food menu offers a delightful selection that is sure to please any palate. Tours include quality live musical entertainment. Bateaux New York cruises the Hudson and East Rivers and takes passengers past the skyscrapers of Manhattan and many of New York's most iconic landmarks. Some of the highlights include the Empire State Building, the Brooklyn, Manhattan and Williamsburg bridges, the Statue of Liberty, Ellis Island, and much more. Located in New York’s West Chelsea in the iconic art deco building renovated in 1976, Empire Diner has been renovated and returned to its former glory. From the outside it is still a vintage diner, but on the inside it looks like a luxury train dining car, elegant and simple with a few booths and a small, cozy dining room in the back. Chef John Delucie offers his own interpretation of classic American comfort food made from high quality ingredients. Empire Diner is a perfect place to lure kids into dining out – the quirky look will perk their interest, as will the fabulous mac and cheese and sourdough pretzel fried chicken. They serve freshly pressed juice. Down to Earth Farmers Market in the Chelsea neighborhood of New York City brings together local farmers and food makers from the area that source their ingredients locally. This combination of two types of vendors greatly increases the products available compared to traditional farmers’ market. As an additional benefit, shoppers have a chance to discover a greater offering of local foods at the markets. It also helps regional agriculture thrive, as more businesses can source their produce from area farms. The market is the place to come for spreads, broths, olive oil, chutneys, baked goods, and so much more. It is open every Saturday until mid December. 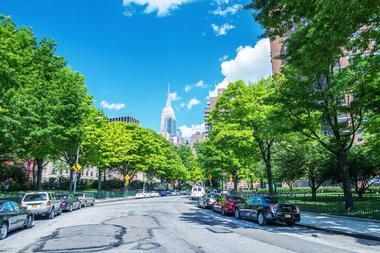 Chelsea Park is a popular city park in lower Manhattan. It has been a mainstay of the city for more than a century and is one of the city's most popular arks. The centerpiece of the park is a World War I memorial known as the Chelsea Doughboy. Chelsea Park features numerous sports courts and fields, including basketball courts, baseball diamonds, courts for playing handball, and several multi-purpose paved areas. There are playgrounds for children and fitness equipment for adults. All of this combines to make Chelsea Park a great recreational space for visitors of all ages. There are plenty of benches and places to sit, rest, and take it all in. Cinepolis Chelsea Theater is a nine-screen movie theater located in the heart of the Chelsea neighborhood. It offers the latest release films and uses all of the newest and most state-of-the-art sound and projection systems. Cinepolis also hosts “Hedda Presents the Classics,” which is a classic film series hosted by Hedda Lettuce, the well-known green-haired drag queen. The theater also hosts numerous film festivals including the Tribeca Film Festival. 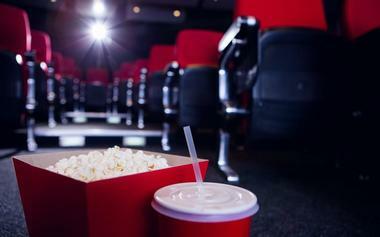 There are reserved and traditional seating options, some 3D movie options, and assisted listening devices are available for use. The full-service concession stand is stocked with all of your favorites as well. 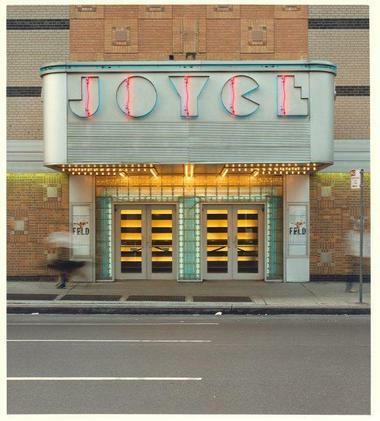 The Joyce Theater is a 472-seat dance performance theater located in the historic Elgin Theater. The theater hosts dance performance events and works to support artists as well as educate the public about the art of dance. The Joyce Theater Foundation has a strong commitment to community action, which includes offering a variety of enrichment activities for families and school children throughout NYC. There is a large variety of events performed at the Joyce. Virtually every style of dance is represented in some way, including some that most people have probably never heard of. The theater provides a charming atmosphere to watch impressive dance performances. Clement Clarke Moore Park is a public park named after poet and scholar Clement Clarke Moore. Moore is recognized as the author of “A Visit from St. Nicholas,” which is commonly known as “Twas the Night Before Christmas.” The park is built in the location of a former farm that was owned by Clement's grandfather. It features a playground for children as well as showers, and family friendly events are hosted at the park from time to time. Community Poetry readings of Moore's famous poem happen every Christmas season. The park provides a relaxing place to escape from the hustle and bustle of New York. Chelsea is home to many excellent restaurants serving a variety of different flavors, including amazing seafood, French, Italian, Korean and other cuisines from around the world. If you are interested in learning how pasta is made, be sure to stop by Pastai, a neighborhood restaurant and artisan pasta bar where you can watch handmade pasta prepared to order in an open kitchen. Afterwards, enjoy a delicious Southern Italian meal before continuing your tour of Chelsea. 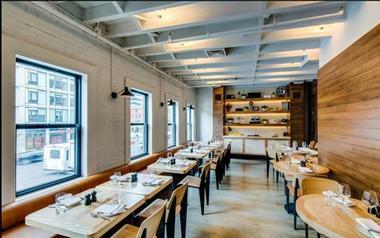 Pastai sources seasonal, fresh, and local ingredients whenever possible. They offer handmade gluten free pasta as well. Chelsea Waterside Park is a 2.5-acre public park. It includes a dog park, fields, and a basketball court. The highlight of the park for visitors with children is the popular playground with water features. The middle of the park is equipped with a pedestrian walkway and beautifully manicured lawns that are available for recreational use. There are planting beds lining the walkways as well, and they are filled with various mixed herbs. In addition to being a great location for leisure activities, the Chelsea Waterside Park is also used to host sporting events ranging from soccer tournaments to football clinics and other events and performances.